The New York Times writes that world-renowned and highly sought-after choreographer Sidra Bell “has a lot working in her favor: powerful, daredevil, and an almost garish imagination capable of dreaming up surreal scenarios … a slick, in-your-face intensity dominates her onstage worlds.” Bell contends that her propensity to innovate emerged at the Bank Street School for Children, where she even recalls developing her own species of plant and process of photosynthesis. 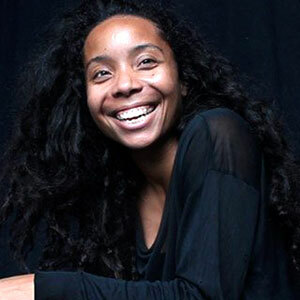 “The acts of creation and sourcing information to invent new ideas have really influenced the way I think about making dance and educating others to think outside of the box,” says Bell, who is artistic director of Sidra Bell Dance New York (SBDNY) and master lecturer at the University of the Arts in Philadelphia, Pa. Prior to earning an MFA in choreography from Purchase College Conservatory of Dance, Bell received her bachelor’s degree in history from Yale University. In light of her aesthetic philosophy, SBDNY’s visionary productions and installations frequently incorporate life-affirming themes and complexities of the human condition. Whether she is at home or at work, Bell is always in good company. In addition to resident and contributing artists, she partners with a long list of industry professionals, including composers, designers, photographers, stylists, videographers, and vocalists. “The most valuable aspect of my life is my relationships with my family, friends, and collaborators,” she says.